The sweet recipes of Vaud taste deliciously of childhood and precious times spent with your family. The expertise of making them has been passed down from one generation to the next. Find these traditional recipes in our pages and treat your sweet-toothed friends! There are numerous recipes for beignets des Brandons (sweet fritters), Bricelets Vaudois (wafer biscuits), Gâteau du Vully or Salée au Sucre (a flat cream cake). In fact, there are as many ways of making them as there are families in Vaud! These pages contain the simplest and most authentic recipes, so you can recreate the true taste of our region in your own kitchen. You can, of course, make these treats whenever you like, even if some of them are closely linked to a particular season or festivity. For example, Beignets des Brandons are traditionally made by families in the northern part of Vaud as winter nears its end and a festival approach that is similar to the carnival of other Swiss regions and elsewhere in the world. Apart from the Bricelets, these recipes need no special equipment or ingredients, just good local products and a pinch of self-indulgence! 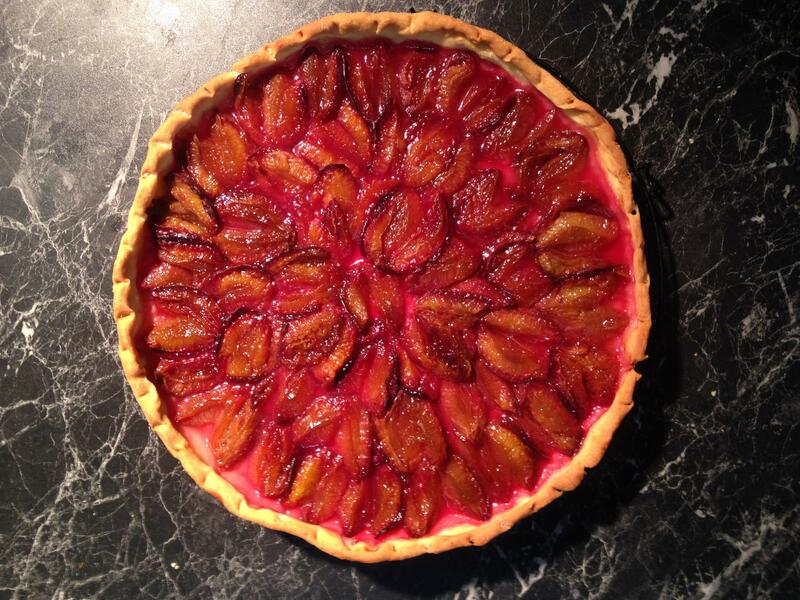 The best-known version of this famous tart is made with sugar and cream and generally called “salée au sucre”, but there’s also a savoury version made with bacon and cumin.Simple and delicious, the Vully tart is available in all good bakeries in this Northern Vaudois region and sometimes even beyond. In the Avenches area, it’s made at home, often using a family recipe. In the olden days, Gâteau du Vully was more common in its savoury version, flavoured with bacon and cumin, and enjoyed with a glass of chasselas as an apéritif. Recipes were shared and exchanged at the communal oven while the tarts were baking. When sugar became a common foodstuff, “salée au sucre” became more widespread. It’s easy to make but the recipe is very precise. What makes it even more delicious and surprising are the little holes on the surface, called “puits d’amour” (wells of love), where the cream, butter and sugar accumulate. When the time for the Brandons festivals comes round, local women start making a traditional kind of fritter. They’re made in the kitchens of the Payerne and Moudon regions, according to recipes passed down from generation to generation. Small quantities of plain or very sweet dough are stretched until smooth and thin in the middle, keeping the edges thick. Dipped into hot oil, the fritters puff up in the middle, making little hats. They’re then dusted with sugar before being eaten. Dating back to the 15th century, doughnuts are closely linked to the tradition of Les Brandons, a carnival-like festival, still enthusiastically celebrated in the regions of Moudon, Payerne, Avenches and Yverdon-les-Bains. This festival dates back to Mediaeval times when the local people used to light big fires at the end of winter to chase away the cold and make room for spring. Nowadays, this festival features big parades with music, fantastic costumes.... and delicious doughnuts! Who but the Vaudois would think of choosing an oxymoron to name a cake! Although this name seems strange to us today, its origin is totally logical because in the olden days, “a savoury” meant a cake. So this is a recipe for a creamy and sugary dessert. A Stroll along the vineyards of Morges "Au Fil du Goût"